The HySHINE Deluxe Horse Hair Wooden Dandy Brush is a dark brown lacquered small dandy brush with black/white/brown mixed horse hair. 4.5cm length out. 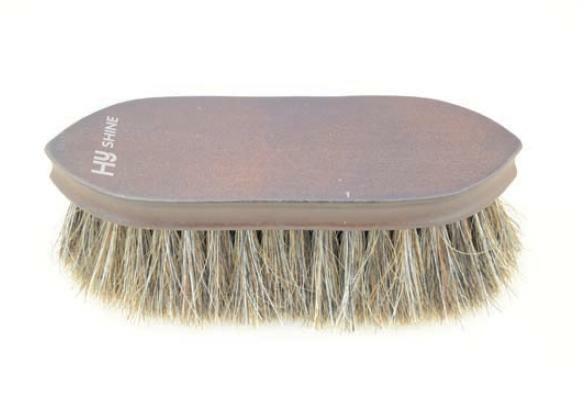 There are currently no questions for HySHINE Deluxe Horse Hair Wooden Dandy Brush - be the first to ask one!